FPV stands for First Person View. In FPV flying, a camera is used to stream real-time video from onboard the quadcopter (Drone) to the pilot on the ground. This allows the operator to see as if they were in the ‘cockpit’ of the craft. Because you are (hopefully) in control of your craft, rather than just having a bird’s eye view, an FPV system makes you the bird! Other than FPV, we also have LOS. It stands for Line Of Sight and is the traditional method of looking at your craft while flying before we start putting cameras on our drones. Traditionally a pilot controls an RC aircraft by looking at it line of sight (LOS). But in FPV the pilot sees what the drone is seeing, which is why it’s sometimes called video piloting. Flying FPV can feel like playing a video game, but if you crash in the game, your PlayStation isn’t going to hit your lounge wall at 90MPH! Believe me, replacing a top tier FPV quadcopter can be just as expensive as a new PS4! The level of focus required while flying FPV is intense, and the speed and maneuverability of a mini quad make it a truly sensational experience every time you fly – regardless of how many props you might break :) It is solely due to advances in FPV technology that has made drone racing (mini quad FPV) a possibility in recent years. In addition to the excitement and addictiveness of flying FPV, there are many practical advantages too. Having an on-board view from your quad eliminates many of the problems faced when flying LOS, i.e. losing sight of the quad by flying into the sun or behind an obstacle, learning to fly ‘nose in’ (left and right are reversed when flying towards yourself) and misjudging the direction your quad is facing. FPV makes control over the quad much more precise, this really helps to take further advantage of the space you are flying in. 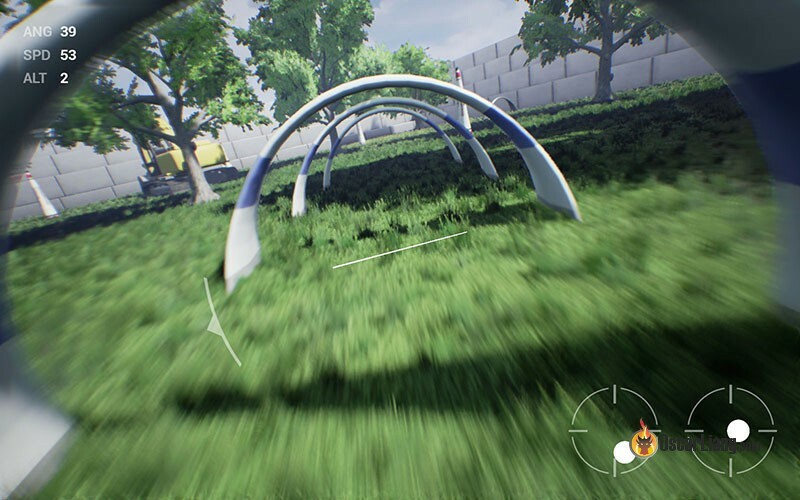 FPV is allowing pilots to fly further, higher and more aggressively than ever and it is a much more interactive way to experience the environment making the experience far more engaging for the pilot. The camera is mounted on the front of a quadcopter, real time footage is then sent from a video transmitter, to a video receiver on the ground. And finally the video is displayed either on a monitor or a pair of FPV Goggles. A more sophisticated setup may include telemetry, OSD (on screen display), DVR (digital video recorder) and other gear. Here we will go into more detail about each component within an FPV system. The price for getting into FPV flying varies. Assuming you’ve already had a quadcopter, you can pay as little as $100 to get a basic FPV system. But if you want something better the cost can go up rapidly. Originally FPV cameras were re-purposed security cameras, which were generally small, lightweight, and easily fitted to compact unmanned aircraft. Most FPV cameras these days are specifically designed for extremely low latency, while providing the best possible dynamic range for the rapid changes in lighting conditions that come with flying FPV. Due to this focus of low latency, FPV cameras are usually analog and not capable of capturing the digital HD footage that you see on Youtube, this comes from an additional Go-Pro or similar ‘action camera’ mounted on the quad. When choosing any camera, the first thing we tend to look at ixs the resolution, but with FPV there are other important factors to consider too, such as latency and wide dynamic range. Check out this comprehensive guide on selecting an FPV camera. The video transmission system (including VTX – transmitter, VRX – receiver and antennas) determines the reliability and range of your video link. Read about the basics of video transmitter for quadcopters in this post. Not all VTX and VRX operate on compatible channels, so make sure your VRX supports the channels your VTX uses. it could be brand dependent. Make sure your VRX supports the channels on your VTX. VTX and VRX are often supplied with linear polarized antennas, they are more simple, cheaper to make and generally more durable, however they are not the best choice for multirotors and can be easily affected by interference. We recommend using circular polarized antennas for your FPV system to optimize performance. Check out this tutorial on why circular polarization is better for quadcopters. Directional antennas with high gain allow longer range at the expense of a narrower angle of reception. A directional must face towards the multicopter to get the best signal. The performance of directional antenna quickly decreases when the craft moves out of this narrow angle. For more information, here is an article on how antenna gain affects range in FPV. FPV goggles are generally more expensive than a monitor, but goggles provide a more immersive flying experience. Check out this FPV Goggles comparison for more technical detail. There are some advantages to flying FPV with a monitor apart from cost, like allowing the pilot to easily switch between LOS and FPV. A monitor also makes it more convenient for those who wear glasses, though some manufacturers of goggles now offer a range of different lenses, even catering for prescriptions. The experience of flying with a pair of FPV goggles is hard to beat, on top of the immersion, the image is clearer, the view is not so affected by sun light and they are also more compact for easy transportation. The choice relies on personal preference, some people enjoy the immersive flying experience with FPV goggles, others feel uncomfortable wearing them. Some people even suffer from headaches while wearing FPV goggles. Also eye conditions could affect your usage of goggles. If you are interested in goggles, it’s best to borrow a pair from a friend, and try them out before making a decision. To ensure you have the best possible signal your VTX antenna should be in the line of sight of the VRX antenna at all times. When you fly behind a tree, or a hill, your signal will weaken or even drop completely as you are outside of the Fresnel Zone. When this happens you might have video breakup or static on the screen. The problem becomes more pronounced with higher transmission frequencies. That’s why your 2.4GHz radio signal normally has longer range than your 5.8GHz video feed. Remember that since most mini quad frames are made of carbon fibre, it’s important your antennas avoid having the signal blocked by the frame or other electronic components such as your HD camera. A diversity system allows multiple antennas to be used at the same time, but be aware of the difference between “antenna diversity” and “receiver diversity”. “Antenna diversity” only uses a single receiver so the 2 antennas aid one another with signal reception. “Receiver diversity” is a better system as it has 2 (or more) separate receivers, each is equipped with an antenna and it will always switch to the receiver with the strongest signal. Using diversity allows pilots to combine “omni-directional antennas” with “directional antennas” to get the best of both worlds. An OSD is used to overlay real-time flight information about your multicopter into your live FPV feed. This is totally optional, but having flight data like battery voltage, GPS information, speed, altitude etc. can be extremely useful. I personally use OSD on all my quadcopters whenever possible, mainly to report the battery voltage level, so I can land without over-discharging my LiPo. Here is the OSD guide for beginners. You need to make sure your FPV equipment is powered by the appropriate voltage. Many FPV equipment is rated for an input voltage of 12V, though a wider range of supported voltages are becoming more common these days. For example if your equipment is rated for 12V, and you are running 3S LiPo, you could power it directly from your battery. However if you are using 4S LiPo or higher for your quad, you can power your FPV gear with a separate 3S LiPo though it’s not ideal due to the extra weight. Alternatively you can use something called ‘Voltage Regulator’, to step down the battery voltage in the case of 4S, it can convert 16.8V to 12V. Motors generate a lot of noise in your power system. If you are powering your FPV gear (e.g. VTX and camera) with the same battery as the one powering your motors, the noise could get into your video, which results in jumping white lines across the screen. This is especially noticeable with sudden changes in throttle. An “LC filter” (a.k.a. “power filter”) is used to reduce noise or interference in the power to your FPV system. They can be bought ready made, or you can DIY your own power filter. Sometimes simply adding low ESR capacitors could also help clean up the noise. “Delay”, “latency” and “lag” are all terms used to describe the amount of time it takes from your FPV camera capturing an image, to that image being displayed on your screen. The faster you fly the bigger impact latency has. If you are running multiple cameras on your quadcopter, like an FPV camera and a GoPro, you might consider using a video switcher, so you can switch between these feeds on your FPV goggles or monitor by using a switch on your radio transmitter. This is useful for those who are flying with their FPV camera, but also want to occasionally check what you are filming in the HD camera. Some FPV goggles have a built-in VRX that only supports 5.8GHz, if you want to run 1.3GHz or 2.4GHz, you could make a “repeater” that receives the lower frequency signal and then re-transmits a low power 5.8Ghz signal to the VRX in your goggles. Can I use my iPad, smart phone or tablets for FPV? You certainly can! You can either send your live video via wifi, or use an analogue to digital video converter to display the footage on your mobile device. However this is not recommended, because the delay in the video stream will be so bad it could crash your drone. Generally speaking, place your VTX antenna as far away from your GPS and radio receiver antenna as possible. You should also try to keep the wires for the FPV system away from motor/ESC wires, this help prevent unwanted interference. What is “Jello” I hear about all the time? “Jello” is a video effect where vibration from your motors and propellers are passed to the camera. You might not observe jello through the FPV camera, but later find out the amount of vibration that has been captured in your HD footage is unbearable. This could be due to the different camera sensors and how their shutter works. Generally speaking CMOS is more vulnerable to vibrations and more prone to jello than CCD sensors. Some people actually prefer flying FPV with audio and feel that it gives a greater sense of being on-board, even though all you can hear is the sound of the motors and rushing air. If you don’t want to use audio, just ignore it or even cut the wire off and save a gram of weight. How do you learn to fly FPV? I often get asked “what the best way is to learn to fly FPV?”. Some might assume they have to become really good at flying LOS (line of sight), before they try FPV, but this isn’t necessarily the case. Remember that your FPV system can fail, so having some skill at LOS flying will help you get your craft back in control in an emergency. LOS and FPV are two very different ways of flying. It is best to master basic controls flying LOS, and once you start to feel comfortable with how to move the quad around, you can move on to FPV. Most pilots fly the ‘maiden’ (1st flight) of a new quad in LOS, before putting on their goggles, it is easier to see if any drift needs trimming out and helps to give an idea of how it responds to the stick inputs. Here is a discussion about when you are learning, sometimes something just clicks. FPV simulators can really help beginners pick up the basic skills quickly, they can dramatically reduce the cost of broken parts due to trying tricks that are beyond your capability and other silly errors. Here are a list of RC Multicopter simulators. Countries have different laws in place, restricting the amount of power a transmitter can produce and on which frequencies. Please check your local restrictions, and fly safely and lawfully. Here is a discussion about legally flying around the world. Hopefully this article has helped your understanding of the basics of an FPV system and provide some useful tips for flying FPV. Do your research, ask questions and make sure you understand what it is that you are buying. can u reccomend something that will fit my drone and on cheap side of budget ?? Total noob here, first quad build and I have a simple question I’m sure. I have the matek xt60 pdb and a matek FC F405-OSD. Got almost everything wired but when it comes to wiring the “CURR”, “VCC” AND “G” I only have those options on the FC and only “VCC” and “G” on the PDB. Am I missing something? Should I just wire up the VCC and G? Will it matter that the CURR won’t be connected? Thanks in advance. Happy to (re-)discover this entry, which show up in my blog feed thanks to the last update. If I want to record the videos without watching it (like a spy camera or a Dashcam) can I do this…? and if I want to do this how can I do ? can i connect two or more cameras together in a video. I’m finding the hardest thing about FPV is orientation and I think it has something to do with the choice of lens on the FPV cam. I use a board ccd cam from a security cam. I have no idea what kind but, the picture is good and it handles light changes well. The picture doesn’t look anything like the picture of cam footage I commonly see on youtube and I can’t help thinking it’s because of the lens. I have no idea what the field of view or size specs of the lens are either. What lens should I be trying? I maybe should buy one of the popular sizes i.e. 2.8, 2.6, 3.6 and see or what? I have one of those all in one cam/tx from spectrum that seems the best overall as far as being able to tell where I am in the world but, don’t like it as a package for a race quad. Maybe if I soldered on an antennae extension cable to relocate the antennae or something. I don’t know I’m just rambling but, I think what I’m trying to say is it’d be great if more attention to lens choice were given in your otherwise fantastic FPV tutorial. PLEASE HELP! Can I directly connect a small FPV camera to my Samsung Note 4 smartphone via OTG cable and USB cable by soldering FPV’s 4 wires to a USB port and bypassing RC wires, transmitters, receivers …? Is this at all possible and how? I doubt your phone will like that: the FPV camera is not “speaking” USB but “Video signal out”. I never tried the cheap FPV gadget which use your phone/tablet as a screen but I guess most use an adapter “behind” the camera to send the video signal over WiFi more like a wireless surveillance cam will do. Could you please say more about the compatibility and advantages of different video antenna types. I’m especialy interested in using coax for servo and raw video signals, as I understand the shielding should be grounded only on the cleaner end so should not be used as ground for power. Is it true that while a twisted pair of power wires will reduce the emf given off by the wires it does nothing to protect from interference unless of course they are also shielded? Although populer ethernet cable can be a dangerous choice to power all but the smallest servo, it just to thin, and using multiple strands together should also be avoided to avoid loops, it does work well for signal wires using only one of each pair with the other tied to the shielding again at the clean end only since there is no differential signaling like used with ethernet (not needed for our realitivly short if noisy cable runs). Of course only use finely stranded and shielded cat6. Shielded USB cable has larger power wires that can safely power a servo, though only one of the few that I cut up has much shielding between the power and signal wires. I have used thin satalite reciver coax for servo signal without issue, and would like to do the same for the raw video or would somthing bigger be better? Must the EMI shielded GPS stands be grounded to be effective? “Can I use my iPad, smart phone or other tablets for FPV? Do you mean that fpv systems that use mobile-phones/pads are ‘all’ bad? Hi Oscar, Very helpful for an FPV beginner! Oscar, As many others have said before, your blog is awesome. The thing I appreciate most is HOW it is written. So many manuals jump right into specific details without giving a general overview first. This method often leaves huge gaps in your UNDERSTANDING about a subject. Your links allow the reader to expand outward into the “spider web” that keeps growing. A simple “thank you” is not enough. Now on to my matter at hand. I have read and understand individual components and narrowed the field a great deal as far as I can tell. I am at the “compatibility” stage. 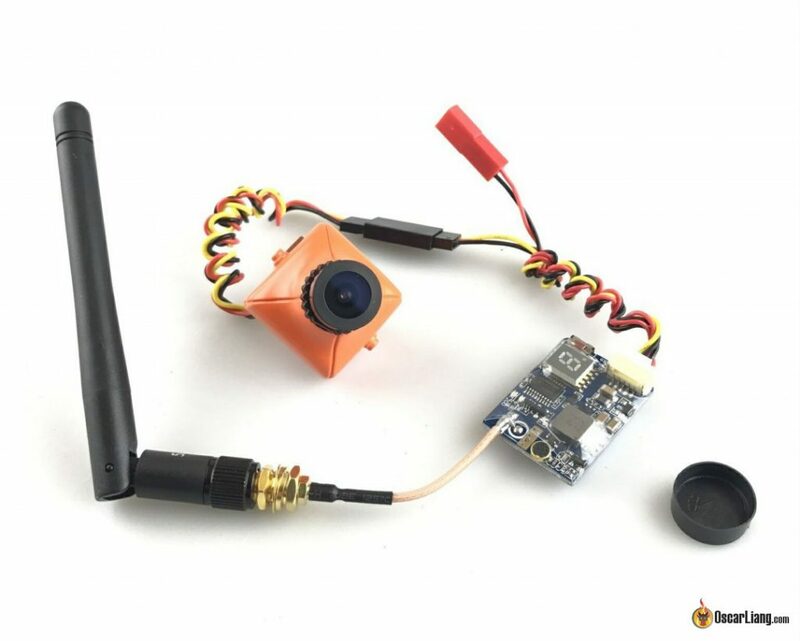 For example, will a Dragon Rider DRAK TX (buddyrc.com/dragon-rider-5-8g-40-channel-adjustable-fpv-av-transmitter.html) work with any comparable RX such as Immersion RX’s? It would seem that the specs are right but there may be other issues which will degrade the overall performance. It seems it would be best to use as many devices from the same manufacturer as possible as they SHOULD have been tested as a SYSTEM. But in this case, I can see how the flexibility of the DRAK might be an advantage later. I have a list of components prepared for an FPV (thanks to your help) that I can provide. Hi thanks for all the tutorials. Can you please elaborate more on how to get live video to smartphone. And if there is any lag you suggested any ideas on how dji does it without much lag?? Im planing to build 5.8GHZ fpv for my RC car, which i drive withing 20 m radious , do you think i can still see the video sitting in my room, while driving it outside my house. This font!!! !… Dude, seriously? Have you tried to read this? Hi Oscar, Thank you for taking the time and effort to write the guide and all the other fantastic content on the site. Please keep it up. It’s highly appreciated! Oscar, thanks a million for this guide and all the other perfect content on the site! Allways the best of Multirotor Guide !!! You become the must-have reference !!! Very nice article, it’s always a pleasure to read them.